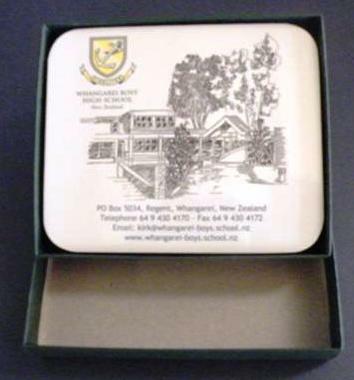 Set of 6 Coasters featuring an impression of the front of the School. These were produced for the jubilee and some information on them has bnow become obsolete. The Association is currently looking at over-writing the ones in strock with other photos.